Beauty Products & Fragrance stockists for all the top brands including Vichy, Armani, Boss, Chanell, Dior, Clarins, Clinique, Lancombe and Estee Lauder. Providing Prescriptions, Emergency Hormonal Contraception, Passport Photos and much more. 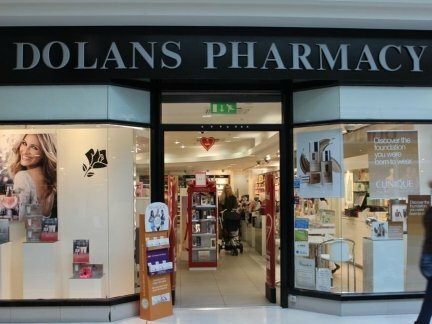 Thursday 9.30 a.m – 7.00 p.m.
Friday 9.30 a.m. – 8.00 p.m.
Saturday 9.30 a.m. – 6.00 p.m.
Visit the Bridge Shopping Centre Facebook page for up-to-date offers from Dolan’s Pharmacy.